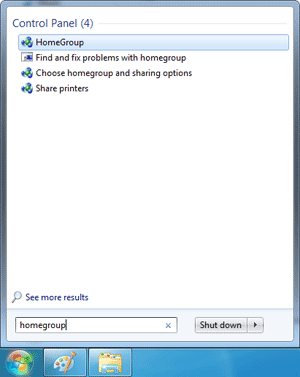 Click on Start button and type HomeGroup in search box, click HomeGroup from search results. Under “Other homegroup actions” options, you’ll see the “View or print homegroup password” link. Click on the “View or print homegroup password” link, this will find your HomeGroup password immediately. Lastly, remember in order to make HomeGroup to work you need at least two or more computers that are connected in the same network. Once you find out the password, type the password in another computer and you’ll see a list of users that are currently in your HomeGroup. Depending on the settings you set to share which folder you can now easily access files between others.